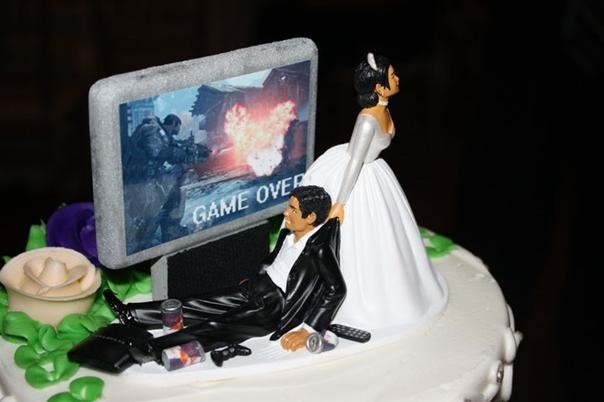 How's this for a fun wedding cake topper? Via Reddit. What is she doing, he hasn't saved yet!